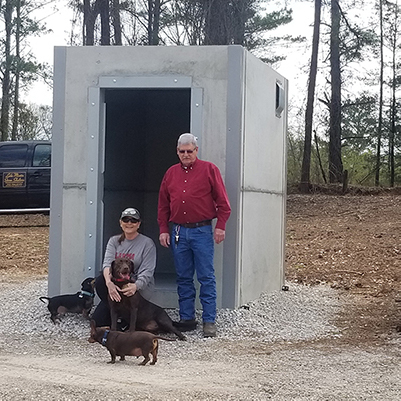 Lake Martin Storm Shelters operates throughout the state of Alabama, including major areas like Birmingham, Montgomery, Huntsville and Mobile. There is no delivery charge, just one simple flat rate. 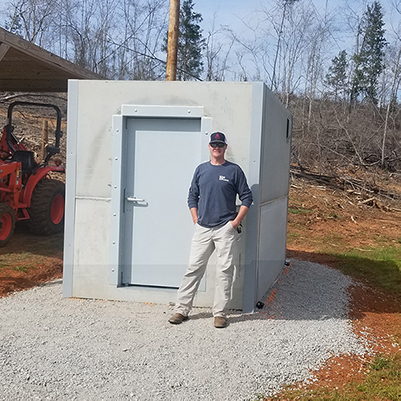 An above ground steel safe room is a hardened structure specifically designed to meet FEMA criteria and provide “near-absolute protection” in extreme weather events. 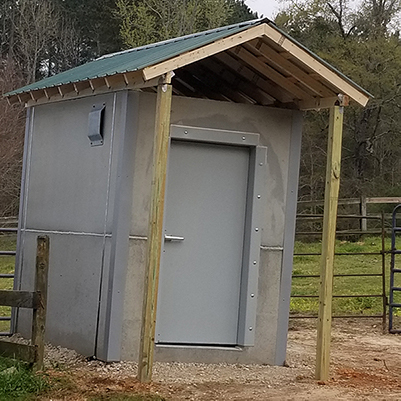 Above ground concrete walk-in safe rooms stand alone on an outside slab or gravel pad. Reinforced with Helix. Exceeds FEMA 320 compliance. Handicap accessible door swings open to the inside (you can’t get trapped inside). Anchored and metal strapped to the ground. Anchored to your garage or new construction floor. 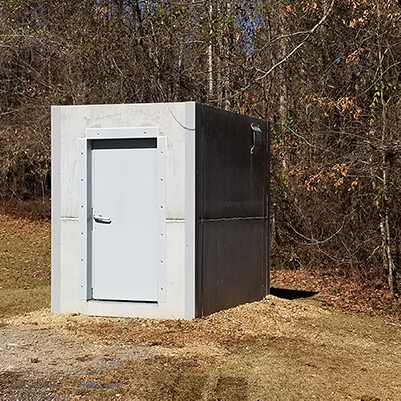 6″ walls and ceiling, steel door, standard light switch and receptacle, Helix filled concrete, Weighing 9,000lbs. Accommodating up to 5 people. Meets or exceeds FEMA 321/361 and ICC-500 standards. Me and my wife looked and researched all types and kinds of shelters. The refuge is big and plenty of room. Merry was awesome to deal with, made every effort to be helpful whether by email or phone. I highly recommend her for your shelter needs.